LCC-52N1 Units: 1 box/ 2 pcs. 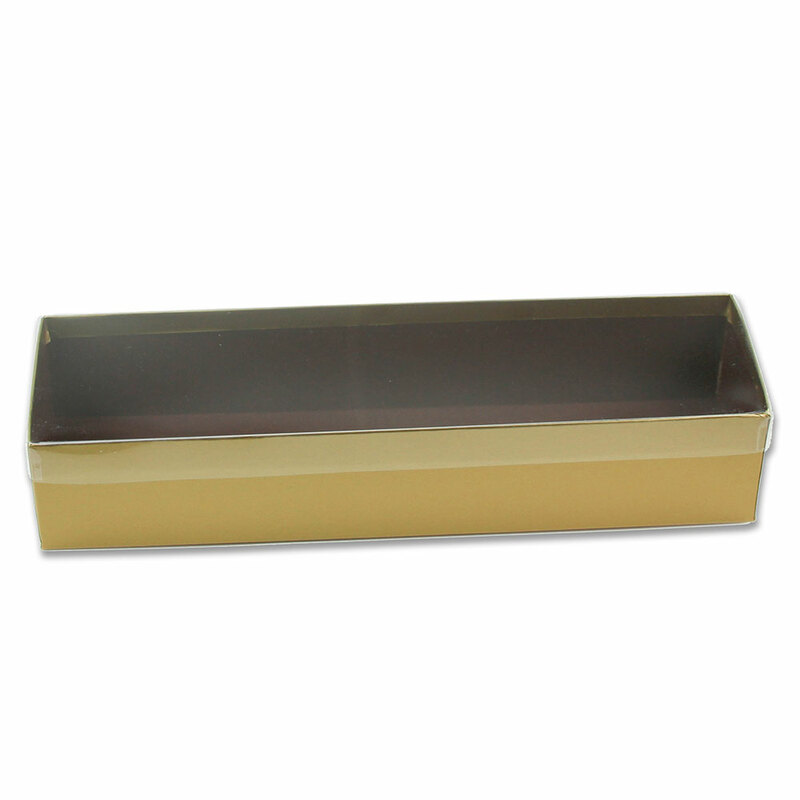 total Dimensions: Box dimensions: 3⅜" wide x 12" long x 2¼" deep This is a two piece assembled box with clear lid. Use the box to package large treats like dipped pretzel rods. Make a box of assorted candies by using baking cups as dividers. Box holds approximately 2 pounds. This is a two piece assembled box with clear lid. Use the box to package large treats like dipped pretzel rods. Make a box of assorted candies by using baking cups as dividers. Box holds approximately 2 pounds.